Each generation, a competition is held to find the next empress of Honoku. The rules are simple. Survive the palace’s enchanted seasonal rooms. Conquer Winter, Spring, Summer, and Fall. Marry the prince. All are eligible to compete—all except yōkai, supernatural monsters and spirits whom the human emperor is determined to enslave and destroy. Mari has spent a lifetime training to become empress. Winning should be easy. And it would be, if she weren't hiding a dangerous secret. Mari is a yōkai with the ability to transform into a terrifying monster. If discovered, her life will be forfeit. As she struggles to keep her true identity hidden, Mari’s fate collides with that of Taro, the prince who has no desire to inherit the imperial throne, and Akira, a half-human, half-yōkai outcast. Torn between duty and love, loyalty and betrayal, vengeance and forgiveness, the choices of Mari, Taro, and Akira will decide the fate of Honoku in this beautifully written, edge-of-your-seat YA fantasy. Emiko Jean is the author of the psychological suspense novel, We'll Never Be Apart. 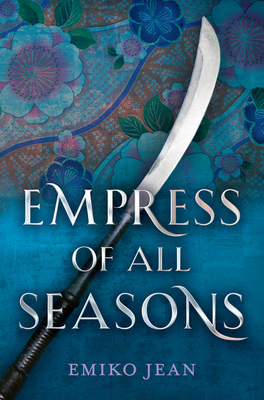 Her second novel, Empress of All Seasons, is inspired by her Japanese heritage. Emiko lives in the Pacific Northwest with her husband and children. Aside from reading and writing, she loves hiking and travel.